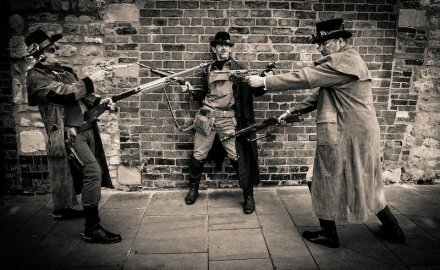 January reinsurance renewals are looking like a Mexican standoff between insurers, reinsurers and the retrocession market, with a significant amount of business still waiting on the sidelines. “I haven’t seen this kind of situation for at least 20 years,” said one reinsurer. Last year’s Harvey-Irma-Maria hurricane losses have been followed with another active year in 2018, creating pressure for rate rises that has not yet materialised outside of some particularly loss-affected lines, with expectations for late renewals once again. “Nobody wants to be the first to move,” said the reinsurer. Many traditional reinsurers have reduced catastrophe exposure in response to the already low pricing or are being more discriminating about where to deploy capital after the impact of the storms of last year were not significant enough outside of the Caribbean to justify the further build-up of portfolios. On the face of it, the combination punch of catastrophe losses in 2017 and 2018 should see pricing move higher. Wind storms alone have caused a total insured loss of at least US$25 billion this year, according to Munich Re. That is well below last year’s figure of more than US$75 billion, but still double the long-term average of US$12 billion. In Asia, Typhoon Jebi was a once-in-50-year event that struck Japan in September and is now recognised as the costliest typhoon to ever hit the country. Munich Re estimated this week that the storm will cost the industry US$6 billion — and that figure will probably rise further. Some estimate that it could reach US$10 billion. Added to that is another US$2 billion insurance loss from Typhoon Trami, which hit Okinawa in October, plus the earlier earthquake in Osaka that has cost close to US$1 billion. All in all, 2018 has been a significant loss year for the Japanese market. Meanwhile, in the Atlantic, Hurricane Florence was the first big storm of the year and caused up to US$5 billion more in insured losses in the Carolinas, Virginia and Georgia — and was followed in mid-October by Hurricane Michael in Florida, which could be another US$10 billion. This has clearly taken a toll on reinsurance and retro markets, but the killer punch in some respects came from the California wildfires in November, which are expected to cause insured industry losses of more than US$10 billion. 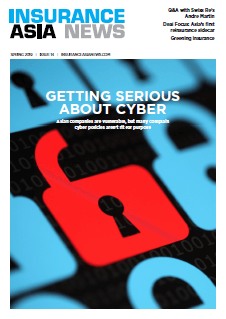 Coming so late in the season, the fires have thrown uncertainty into renewal strategies as industry players assess their losses and reinsurers and retro markets wait for clarity before quoting. Insurance-linked securities manager Twelve Capital noted a “more positive shift in sentiment” this week that and said that it “sees potential for surprise to the upside”, though its base assumption is for stable reinsurance pricing in 2019. Goldman Sachs also reports that some reinsurers are optimistic about the opportunity for better pricing in January. Analysts at the Wall Street bank say that senior industry figures are now expecting price rises to continue into the Japan renewals in April and even into Florida in June. However, there is still plenty of capacity in the market and the Mexican standoff will probably end in a draw — with another round of modest price rises that do little to change the dynamics of the overall market.